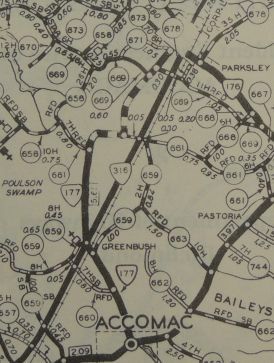 Creation: Appeared in the April 1962 CTB defining the route from the ramps on the south side of I-81 to US 11. This was an upgrade to parts of SRs 638 and 600 and followed the paths of what had been parts of VA 102 and VA 110 twenty years earlier. This is the 2nd VA 177. Improvements: Paved upon designation; 100% multilaned since 1992. There is a VA 177 South posting at the SR 658 junction south of I-81, implying VA 177 exists on a short stub south of I-81. 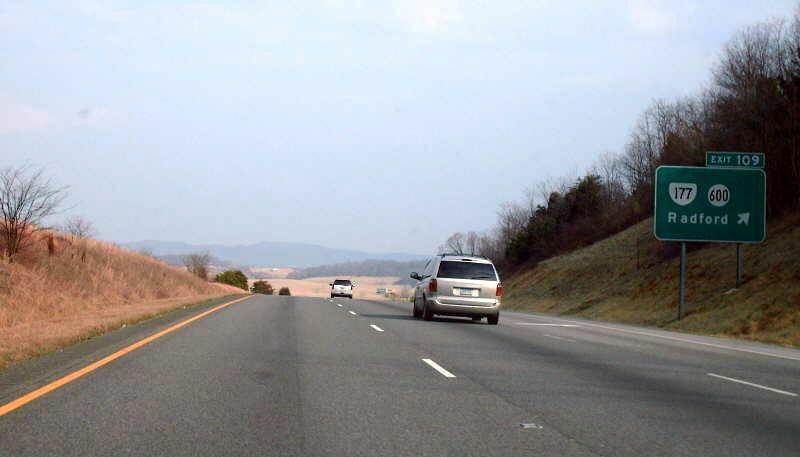 Comment: VA 177 provides easy access from I-81 southbound. VA 177 runs right through part of the Radford College campus. VA 177 first appeared explicitly on the 1966 Official. VA 177 #1: Appeared in July 1933 as a renumbering of what I believe was VA 548. Ran from US 13 Accomac CH northwest through Greenbush to end at SR 661 Drummond Hill Rd. 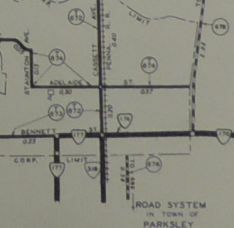 In March 1938 (CTB), VA 177 was extended north over SRs 661/672/673 to meet the west end of VA 176 Parksley. 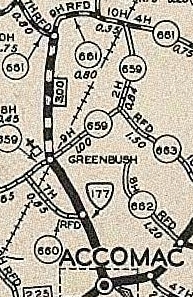 In Jan 1959 (CTB), the rest of VA 177 was downgraded to SR 764.